The Jewellery Workshop Diss, located on the Norfolk Suffolk border is a family run business specialising in bespoke design, jewellery repair & restoration. Established in 1975, our shop & workshop provide a tailored service for your jewellery requirements. 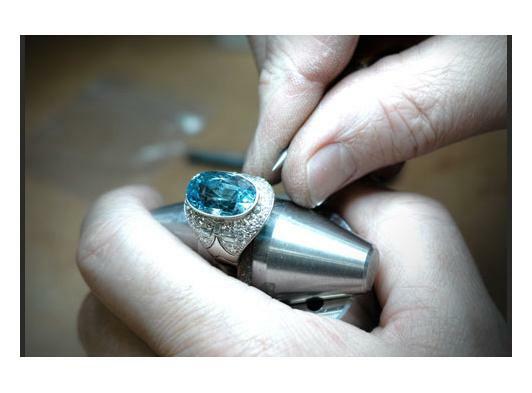 Much of our work at The Jewellery Workshop is our highly individual, creative pieces designed and made in conjunction with the client. It is one of the most interesting aspects of our business, and one that involves close communication to achieve maximum satisfaction around the desired object. Over the years we have made thousands of individual pieces for clients who desire something unique. The process begins with the client's sense of something he or she wants to achieve. Some clients come with drawings pictures and photographs, others with nothing. It is an exciting journey that takes time, but produces pieces of great originality.